In a typical week, about 10 applicants will walk into a recruiting center in Bay Ridge, Brooklyn, hoping to enlist in the United States Army. Sergeant First Class Israel Herrera doesn't like to turn them away, but he often finds that six out of 10 simply don't measure up to military standards. Just like private-sector employers, the military is seeking higher-skilled recruits these days. It's no longer enough to be a patriotic, able-bodied young person. A high-school diploma, above-average score on the military entrance exams, and a clean slate -- free from prior drug use or criminal conduct -- are practically required now. Thanks to high youth unemployment and the drawdown from both Iraq and Afghanistan, Uncle Sam can afford to be a bit pickier. "There's a lot more competition," said Herrera, who signed up himself 13 years ago. "There are not many opportunities out there, but the Army provides employment and stability, and that makes it an attractive option." The Pentagon estimates that only one in four of today's youth are fit for military service. More than 20% of high-school students fail to graduate. Obesity and other medical conditions disqualify about 35% of candidates. Prior drug and alcohol involvement disqualify another 19%, and criminal records disqualify 5%. It wasn't always this way. Just six years ago, during the Iraq war surge, the military had lower standards. Only about 86% of new recruits had high-school diplomas, and just 67% of recruits scored in the top 50th percentile on the Armed Forces Qualification Test. Waivers excusing health issues and prior misconduct -- even felonies -- were not uncommon. Those waivers were needed to hit enrollment targets. The Army fell short of its recruiting goal by about 7,000 people in 2005, but like the other military branches, it has had a surplus of recruits every year since then. "Before 2009, we would probably be able to give you an example of a young man or young woman who got in with a simple possession of marijuana charge," Herrera said. "They would not get a waiver these days." Over the last couple years, the Army, Navy, Air Force and Marines have enlisted their highest-quality recruits since at least 1973, when the military discontinued the draft. Now a whopping 99% of recruits have a high-school diploma -- an all-time high. Even candidates with GEDs are often turned away and encouraged to complete at least 15 college credits before re-applying. There are roughly two applicants for every slot the military is trying to fill. Two key factors are driving the trend. First, the military is recruiting fewer active-duty soldiers overall, as it reduces troop levels in both Iraq and Afghanistan. In fiscal 2012, the military enlisted about 155,000 new recruits, the smallest cohort on record in the post-World War II period. Top military officials also credit the sluggish job market for their hiring success. A slow economy "makes recruiting less challenging, and operates to the advantage of those who are hiring, including the U.S. military," Acting Under Secretary of Defense Jessica Wright said last month in a prepared statement before the Senate Armed Forces Committee. The weak economy over the last few years was enough to convince Tony Coleman II, an 18-year-old from East Stroudsburg, Pa., to enlist. In his hometown, the unemployment rate is hovering near 10%. 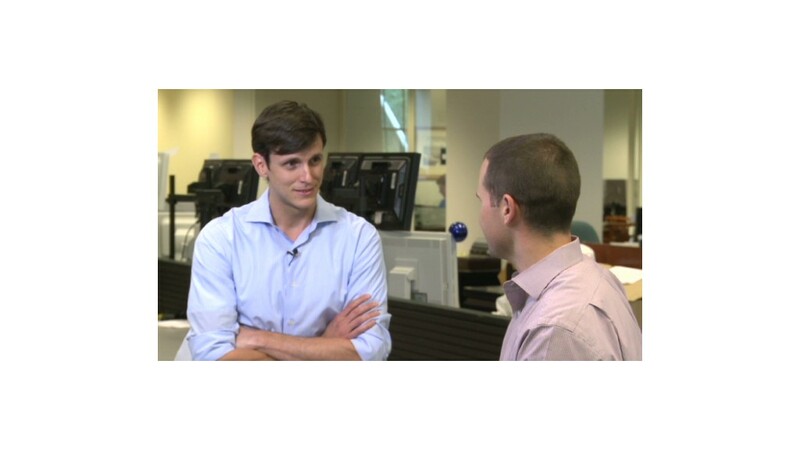 "After high school, I figure not a lot of jobs will open for me," he told CNNMoney. "Money is tight around here, and there are fewer kids getting jobs. Plus, it's a gateway to college." Coleman works at McDonald's now, but dreams of eventually working as a detective for the FBI. He expects to graduate from high school in June and is already preparing to ship off to basic training in Ft. Jackson, S.C., in July. He says he enlisted for three main reasons: "to make mom proud," to fund his college education, and to avoid the weak civilian job market. As of April, the national unemployment rate for 16- to 24-year-olds was 16.1%, more than double the national average for the broader U.S. population. Military pay also works in the recruiters' favor. It tends to exceed that of comparable civilian jobs, once you factor in all the extra benefits like health care, tuition assistance, housing and food allowances. For new recruits, the starting pay is around $1,400 a month. By the time they've reached 18 months of service, their pay is often boosted to about $1,800 to $2,000 a month. The housing allowance is substantial. For even the most junior enlistee, an E1 with less than six months of service, it ranges from about $800 a month in Fort Hood, Texas, to $2,300 a month in New York City. Compare that to the average 16- to 19-year-old civilian worker's monthly pay of about $1,400, according to Labor Department data -- and it's safe to say most of those jobs don't include health insurance or housing, much less tuition reimbursement. As the economy improves, will the military need lower its recruiting standards again? Officials are keeping a watchful eye on their candidate pool. "As we see signs of economic improvement, we must remain vigilant and continue to monitor impacts on our recruiting efforts," Wright told Congress. 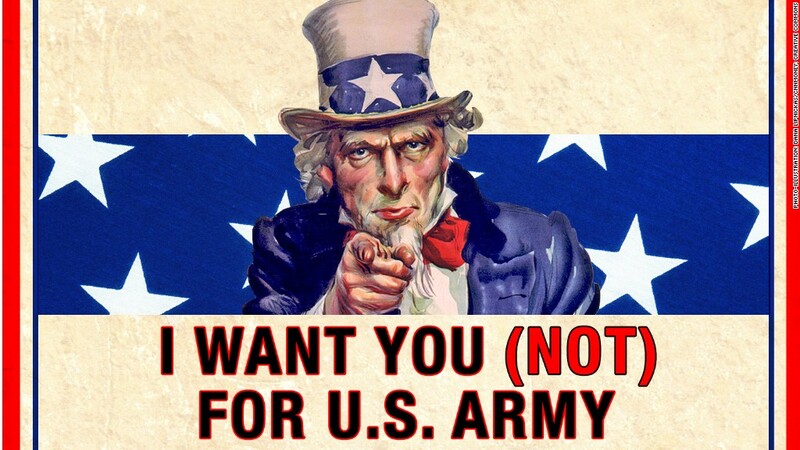 Are you giving up on the job market to join the military instead? Email your story to annalyn.kurtz@turner.com, and you could be featured on CNNMoney.